Today’s hearing aids are not your grandfather’s hearing aids! Hearing aids are personal in both style and function. Today’s hearing aids are discreet and stylish. People often confuse hearing aid style with sophistication and/or cost. 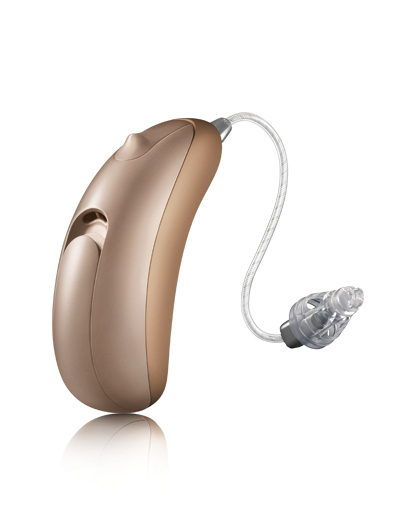 By definition, hearing aid style simply refers to the distinctive appearance of your device. If a friend or a family member looks at your ear (which they rarely do) it is the external device, your hearing aid style, they see. Regardless of the style chosen, it is the technology level inside the computer chip (the part that you can’t see) that determines the sophistication, number of features, level of noise suppression, and ultimately, the cost. 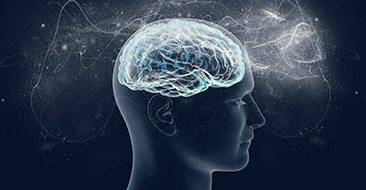 Click here to learn more about hearing aid technology. When selecting your style, we consider your degree of hearing loss, dexterity, and cosmetic concerns. Thanks to advancements in digital technology and miniaturization of the internal components, hearing aids are available in many different sizes and styles. 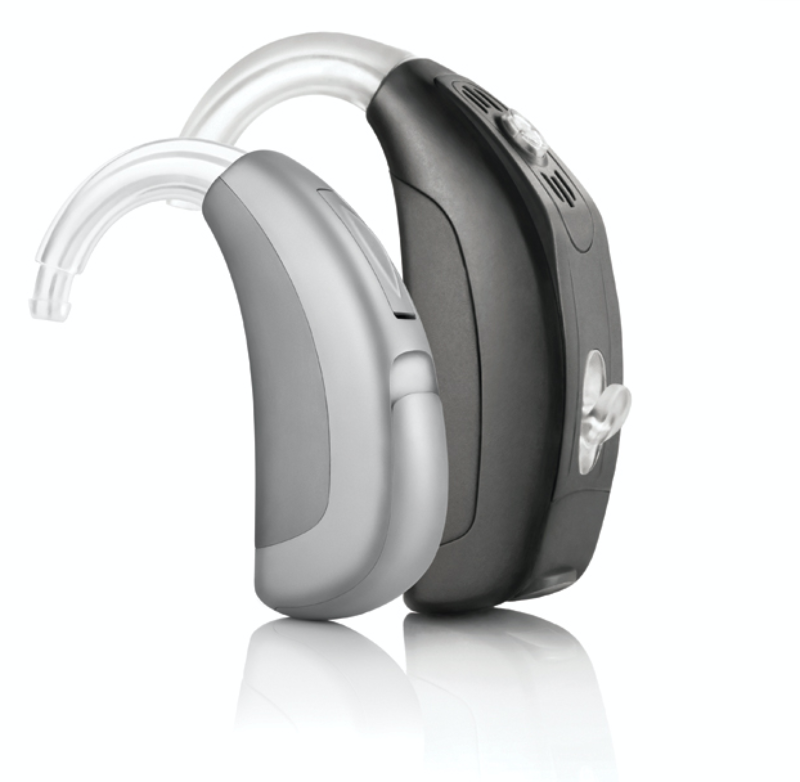 Today’s hearing aids are sleek, compact, and innovative - offering solutions to a wide range of hearing aid wearers. In-the-Ear (ITE) styles provide a custom fit to the shape of your unique ear canal from a cast or impression we take of your ear. 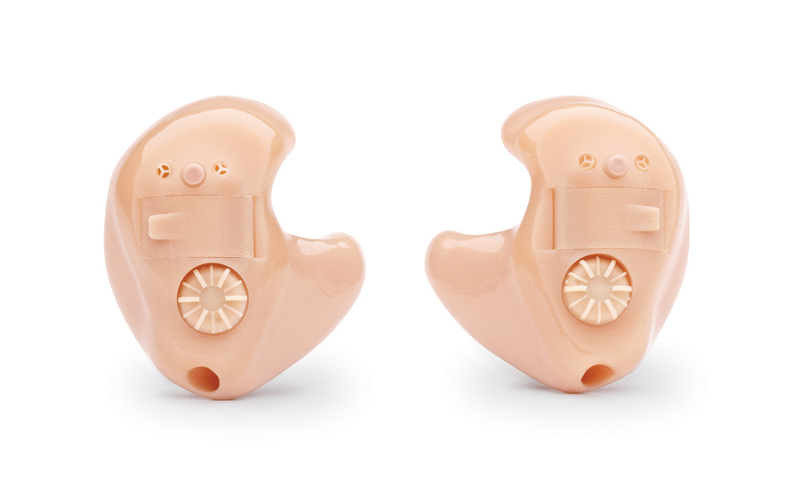 Hearing aid manufacturers provide different skin tones to camouflage with the outer ear. ITE styles vary in size from invisible to full shell – Below is each style, ranging from smallest to largest. 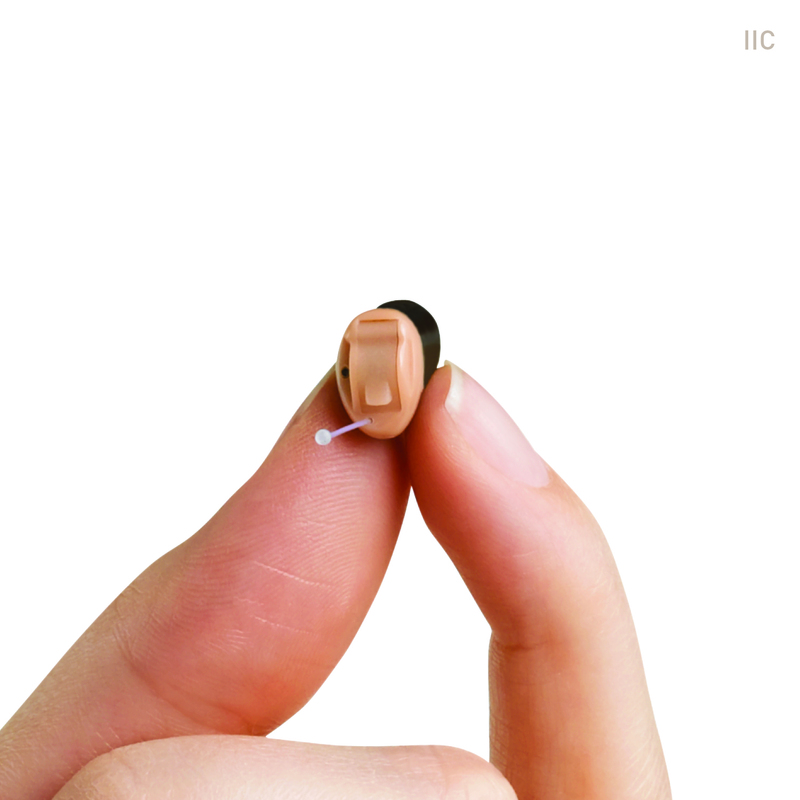 The smallest custom style, IIC instruments sit invisibly in or past the second bend of the ear canal. 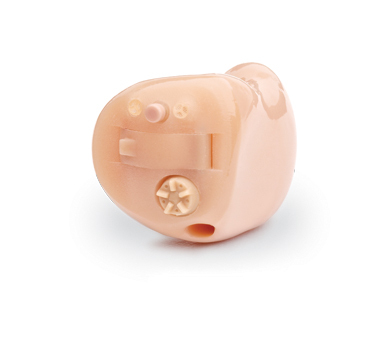 Specifically designed for mild to moderate hearing loss, IIC styles are truly discreet. 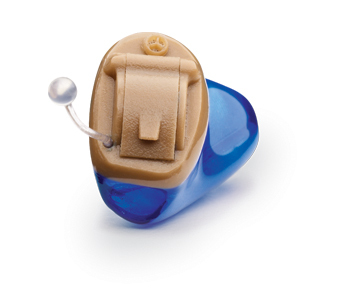 The smallest custom style, CIC instruments fit deeply and entirely within the ear canal. They fit mild to moderate hearing losses and offer high cosmetic appeal, as they're nearly invisible when worn. Our most popular style, Behind-the-Ear (BTE) styles sit behind or on top of the outer ear, with tubing that routes sound down into the ear. The tubing connects to a soft ear tip or earmold to provide security in the ear canal. BTEs blend with hair or skin tones, or funky designs to suit personal preferences. 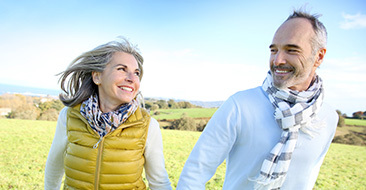 Depending on hearing aid manufacturer, BTE styles provide different features, battery sizes and degrees of power (larger instruments generally have more power than smaller ones). We help personalize the device to best suit your lifestyle and hearing needs. The most popular and discreet style, RIC (receiver-in-canal) models are mini BTEs that have the speaker of the instrument incorporated in the ear tip, instead of in the main body of the instrument. RIC instruments fit mild to severe hearing losses. This hearing aid style looks similar to the Mini BTE when worn on the ear. BTEs with earmolds fit mild through profound hearing losses. Their longer shape follows the contour behind the outer ear and house many features such as a program button and volume control. The earmold color and style, as well as the wearer's hairstyle, determine exactly how they'll look on each person.